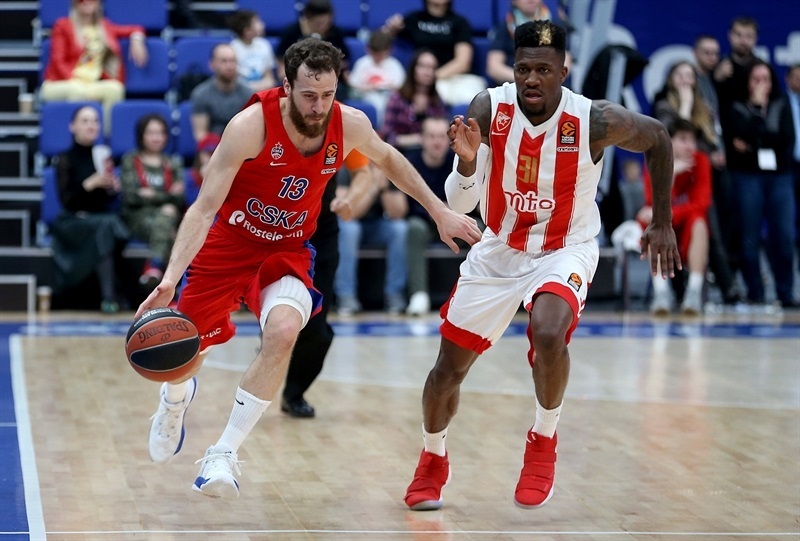 First-place CSKA Moscow ended the regular season with a 24-6 record after overcoming double-digit deficits to down visiting Crvena Zvezda mts Belgrade 92-81 on Thursday. 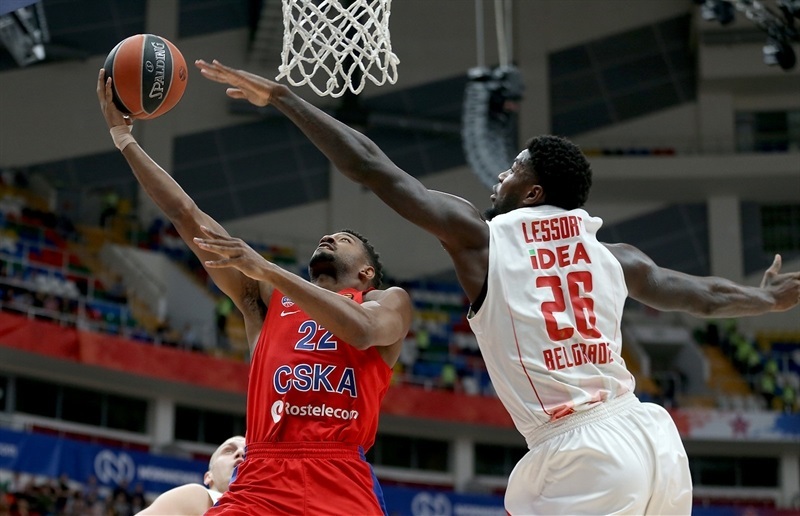 CSKA, who played without Nando De Colo and lost Kyle Hines to a leg injury at the start of the second quarter, had to overcome several double-digit deficits, including 37-47 soon after halftime. But Othello Hunter fueled a 14-2 run to erase the deficit before Leo Westermann and Sergio Rodriguez took over in the fourth quarter as the hosts secured a victory. Vitaly Fridzon netted 20 points to lead CSKA and Cory Higgins had 18 with 5 assists. Hunter and Rodriguez finished with 12 apiece in victory. 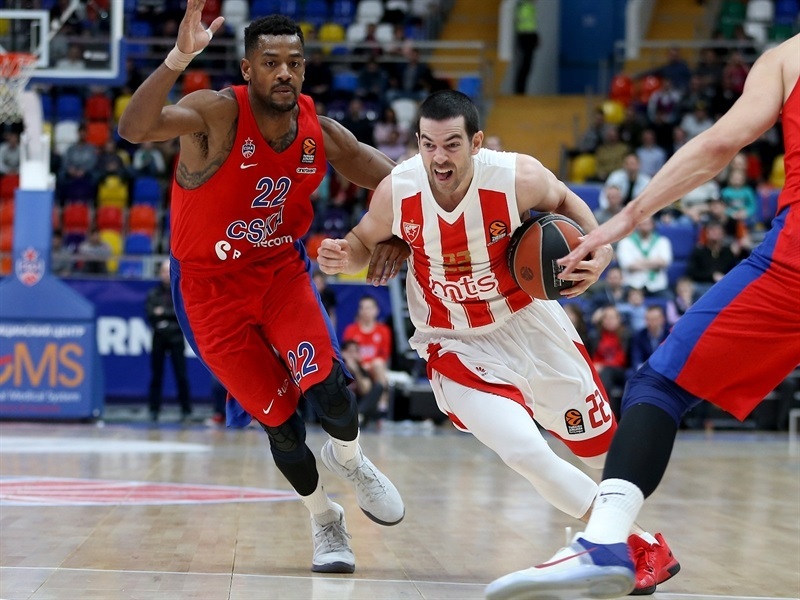 Ognjen Dobric had 14 points, and Taylor Rochestie added 13 for Zvezda which finished the season with 11-19 record. 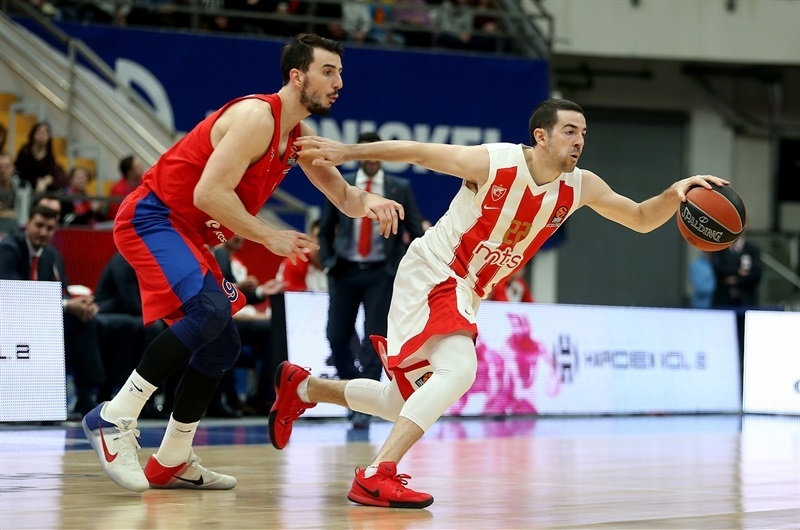 Dejan Davidovac, Milko Bjelica and Stefan Jankovic scored 10 apiece in the losing effort. Zvezda scored the first 9 points of the game as Mathias Lessort opening the run with a dunk and Bjelica had a three-pointer. 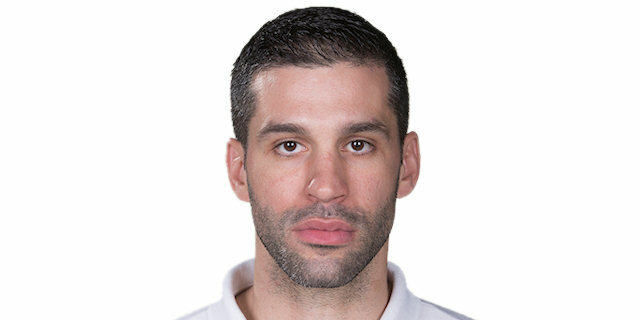 CSKA head coach Dimitris Itoudis changed the entire starting lineup after only 2 minutes and 5 seconds, but that didn't stop Davidovac from pairing a three-pointer with a three-point play as the visitors opened a 6-17 lead. 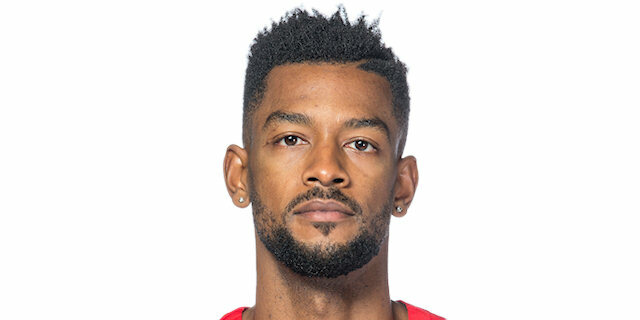 Soon, however, Higgins got CSKA going with a huge driving dunk that was followed by a three-pointer from Andrey Vorontsevich. 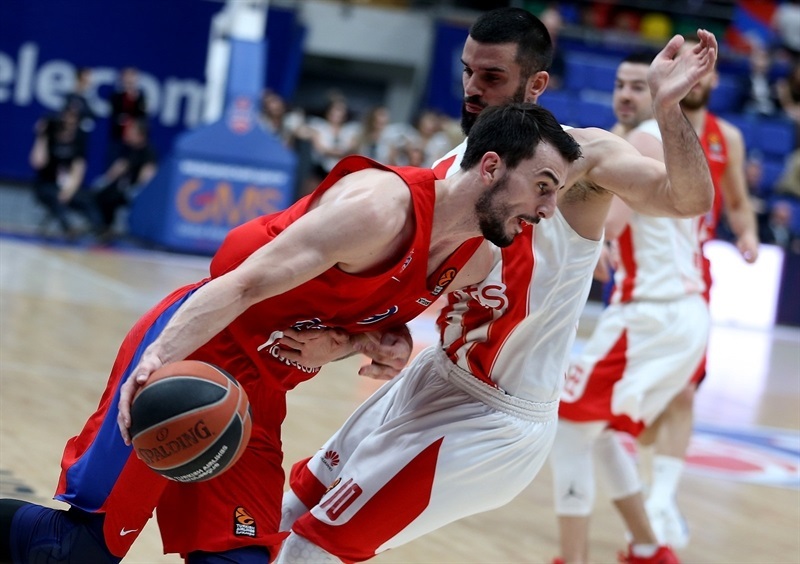 Rochestie knocked down a triple for Zvezda that made it 17-24, but the hosts scored the last 6 points of the first quarter, with Fridzon following a three-pointer with a buzzer-beating baseline jumper to make it 23-24. Fridzon put the hosts in front by opening the second quarter with a three-pointer, then made 3 free throws for a 29-24 advantage. 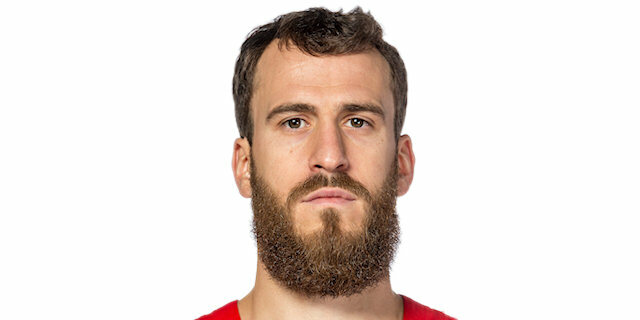 Jankovic snapped a 12-0 CSKA run with a close-range basket and followed it with a shot from the arc. Alen Omic continued Zvezda's answer with a dunk and a three-point play before Jankovic nailed a corner triple as the visitors went in front 31-37. 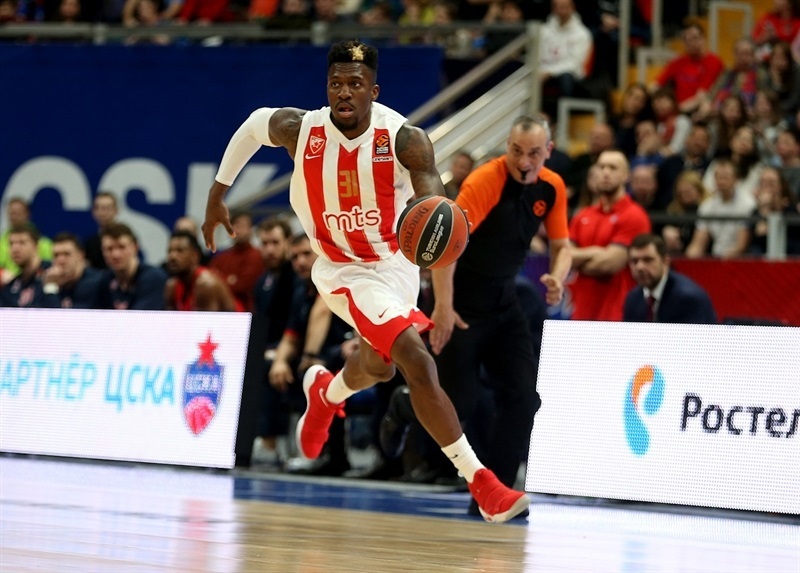 Fridzon and Rochestie traded baskets, so did Higgins and James Feldeine, before Bjelica ended the half with a buzzer-beater from his half of the court, giving Zvezda 37-44 lead at halftime. 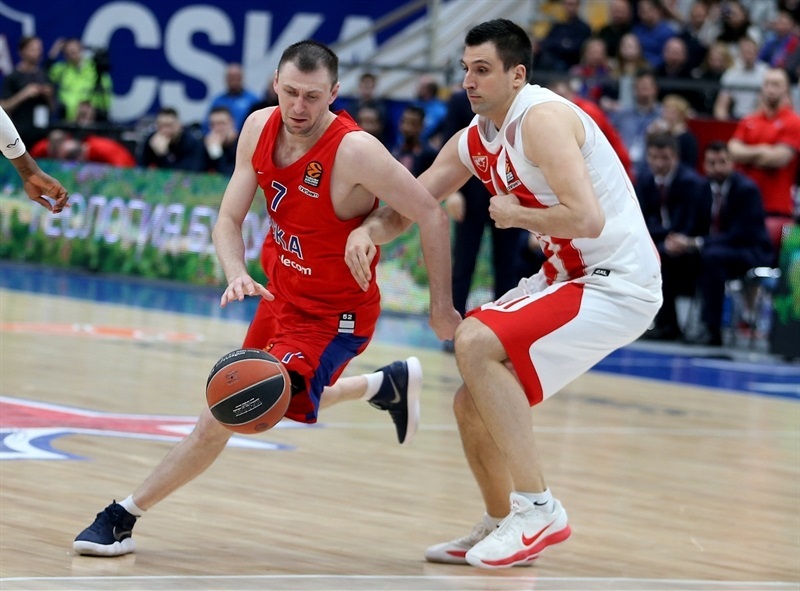 On the opening possession of the third quarter, Dobric knocked down a triple to restore a double-digit margin for Zvezda, but Hunter and Victor Rudd combined to score the next 8 points to get CSKA within 45-47. Hunter and Leo Westermann sparked another run, this time 6-0, to put CSKA back in front, 53-51. Three-pointers from Fridzon and Higgins made it 61-55, but Zvezda answered with a 0-8 run, including triples from Feldeine and Branko Lazic. 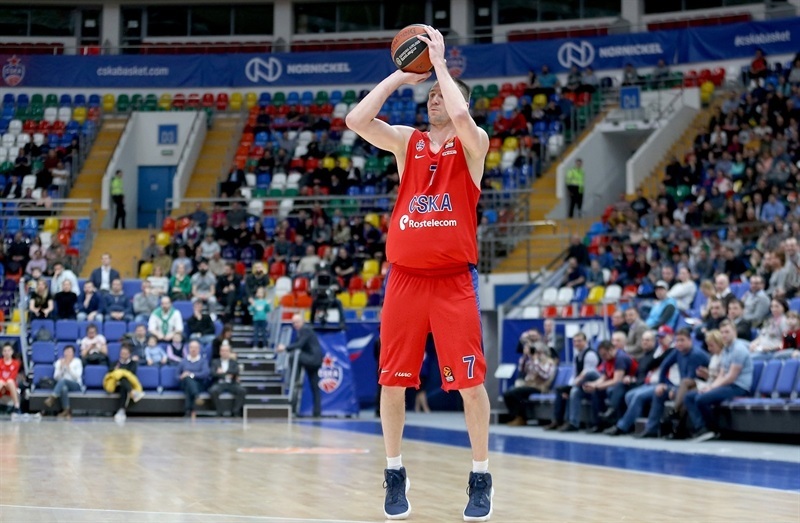 Vorontsevich had the last word from downtown, however, to give CSKA 64-63 edge going into the fourth quarter. 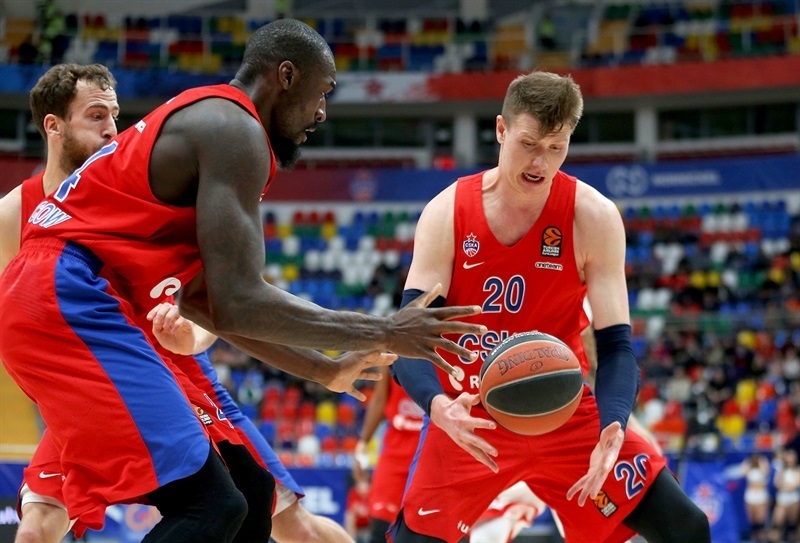 Westermann had a pair of baskets and an assist for Vorontsevich that quickly opened a 73-65 CSKA lead in the fourth quarter Dobric hit a three-pointer for the visitors to cut within 75-70 midway through the fourth. 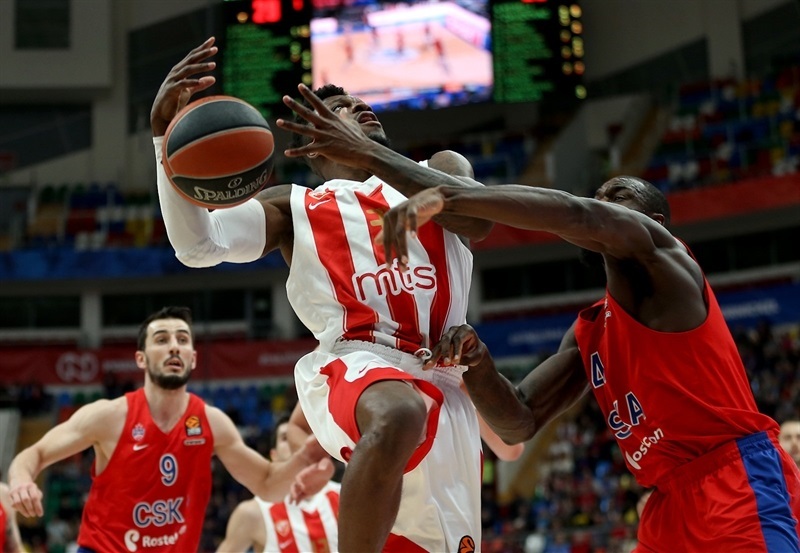 But Clyburn scored 6 consecutive points and Hunter's basket made it 83-72 with 2:40 to go as CSKA closed out the game.